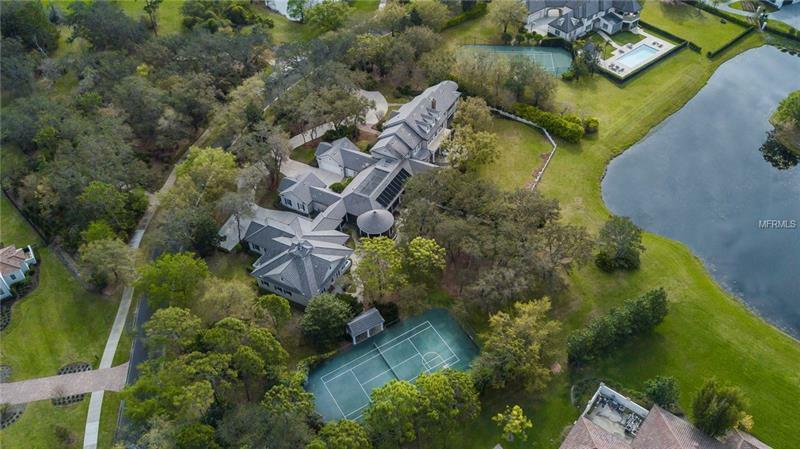 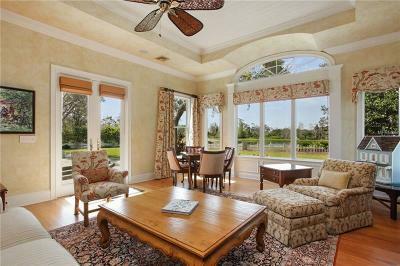 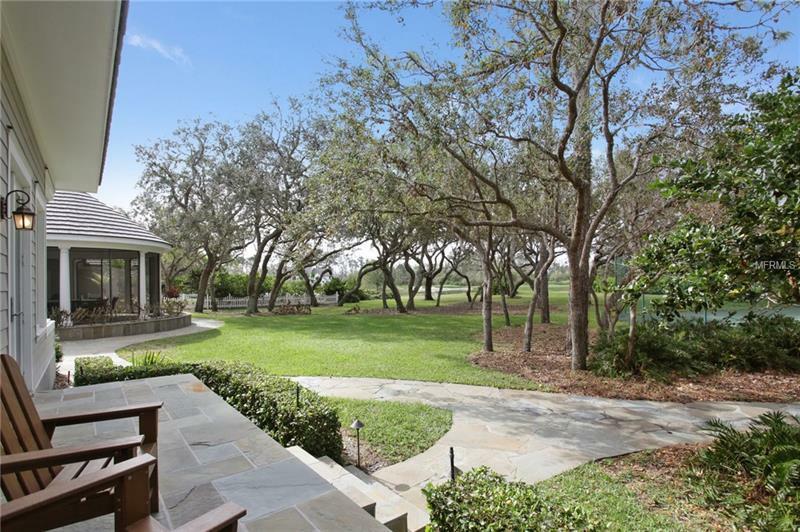 Majestically situated on a wooded 2.46-acre homesite overlooking sensational golf & water views this grand estate offers tranquility sophistication & comfort throughout nearly 10000 sq. ft. of living space between its main residence & guest house. 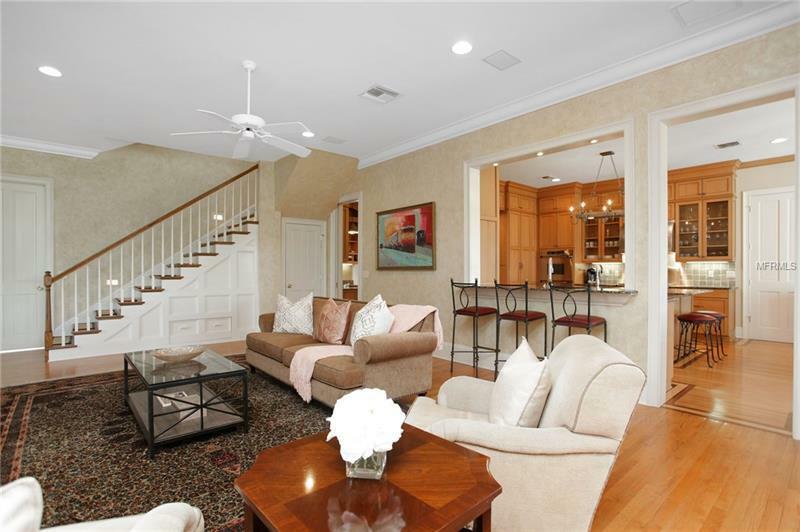 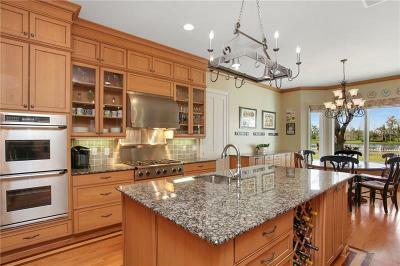 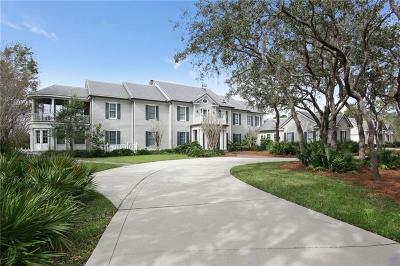 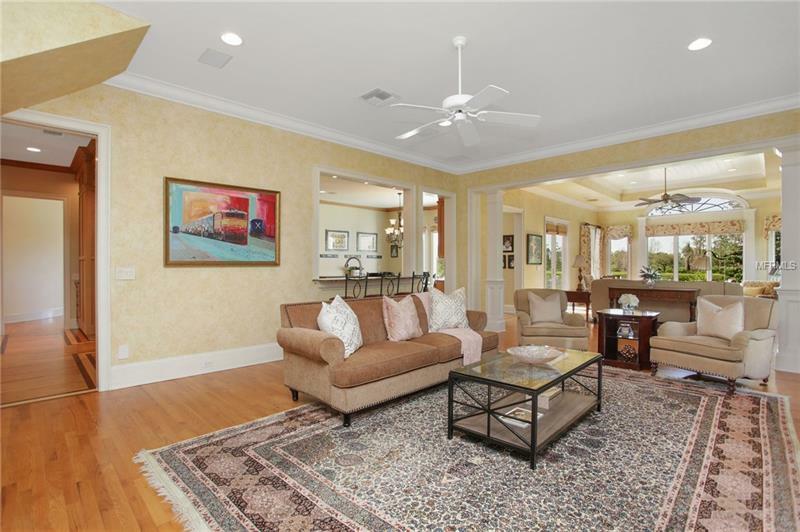 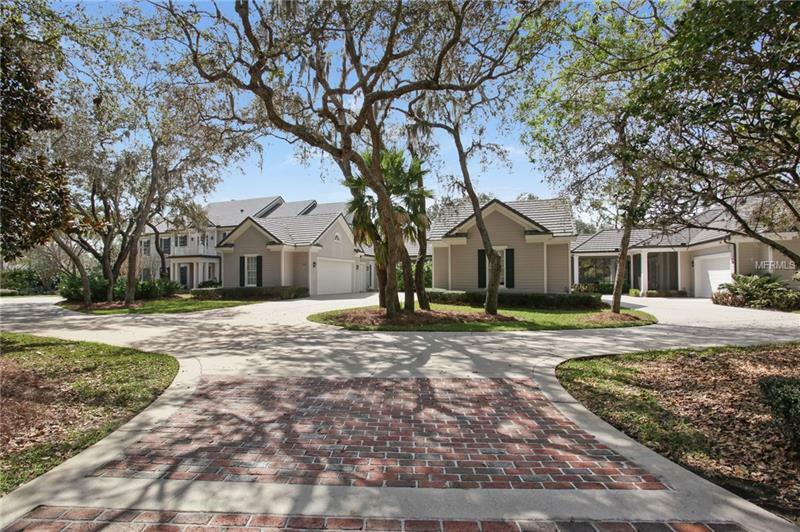 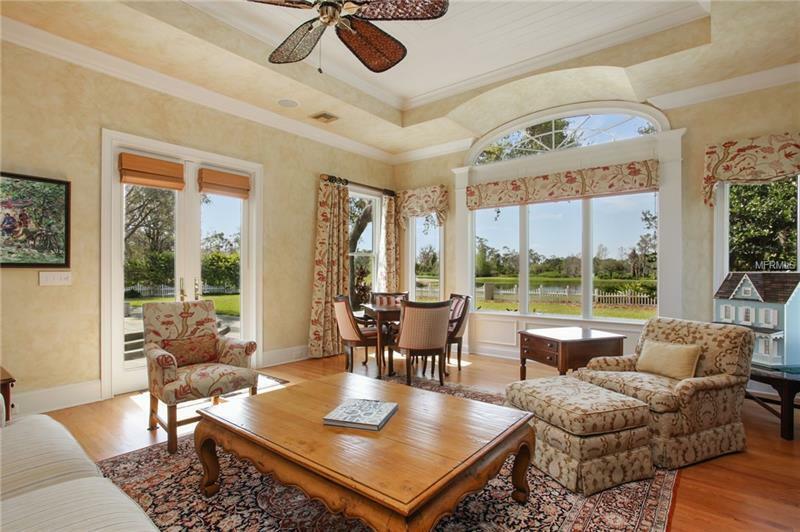 The traditional manor boasts a main house w/5 bedrooms 5 full & 3 half bathrooms within 6707 sq. ft. A grand screen-enclosed outdoor living area featuring a pool & spa connects the main house to a separate guest casita & recently constructed two-story guest house. 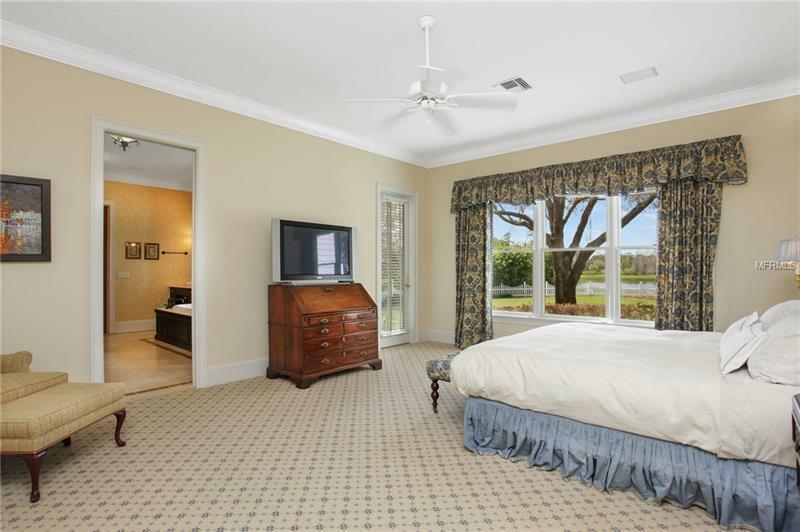 The guest quarters encompass 3263 sq. ft including an addt'l 3 bedrooms 3 full & one 1/2 bathrooms. 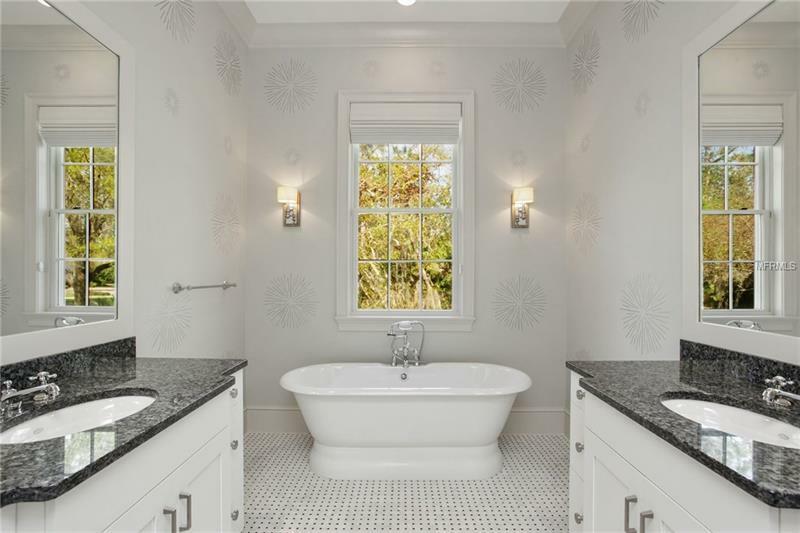 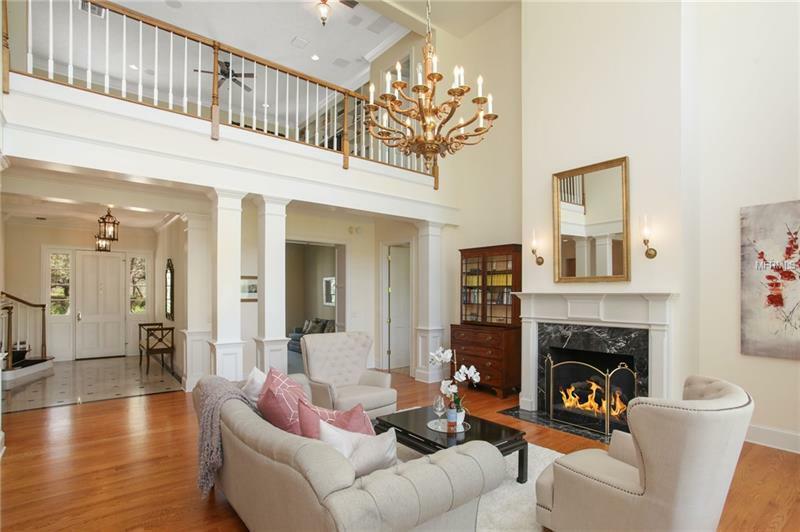 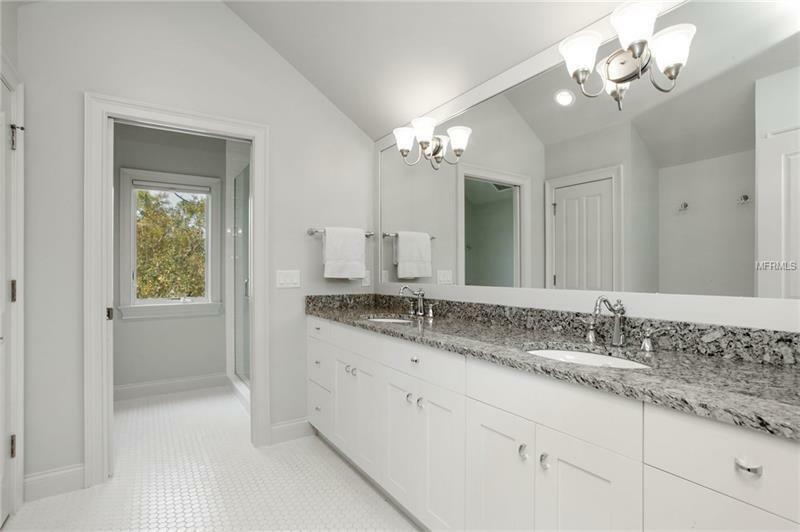 In the main home a private downstairs master wing is enhanced by stunning golf course views 2 oversized walk-in closets a spacious master bathroom & an executive office characterized by its semi-circular shape. 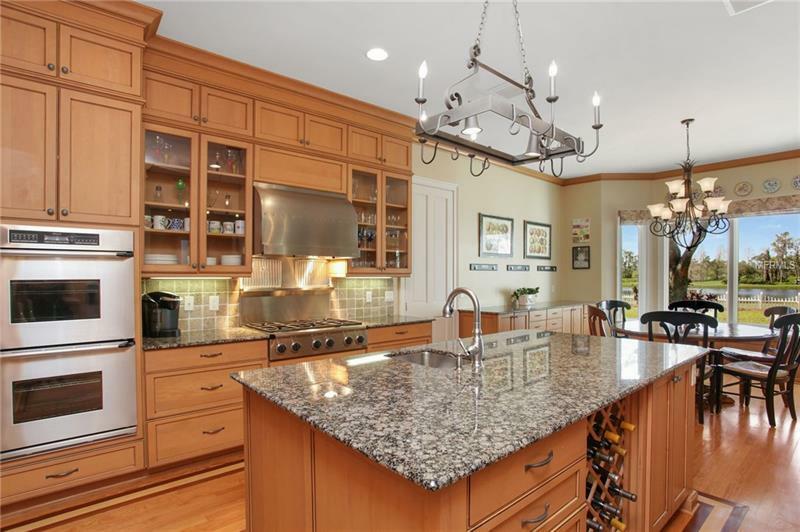 The kitchen offers granite countertops hardwood floors a casual dining area a comprehensive home planning center & stainless-steel appliances. 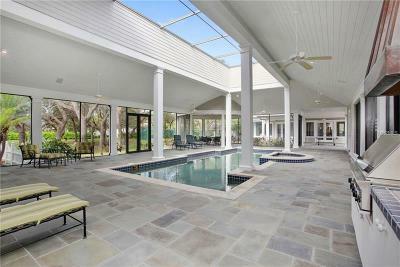 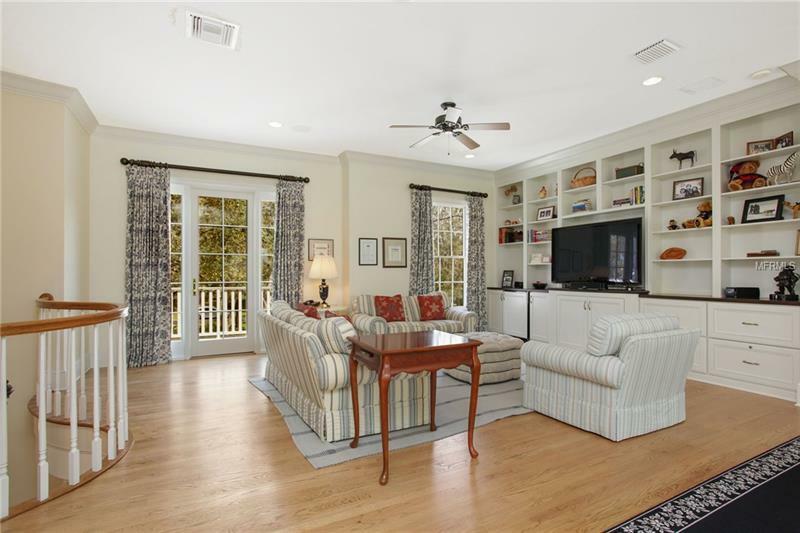 Adjacent to the kitchen the family room features 2 separate sitting areas & access to the expansive covered pool area featuring a summer kitchen w/copper hood flagstone deck & gazebo. 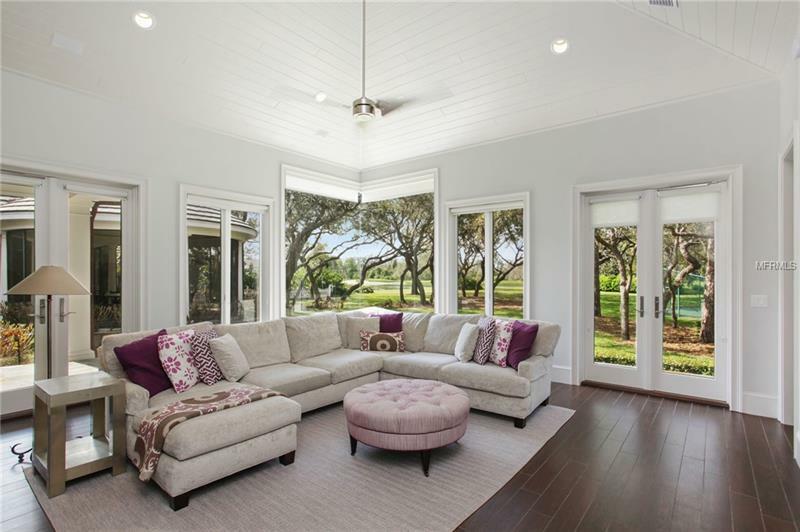 The guest house functions as prime entertaining space amid its two-story vaulted great room w/oversized barn doors a modern kitchen w/eat-in island & 2 beautifully appointed en-suite bedrooms. 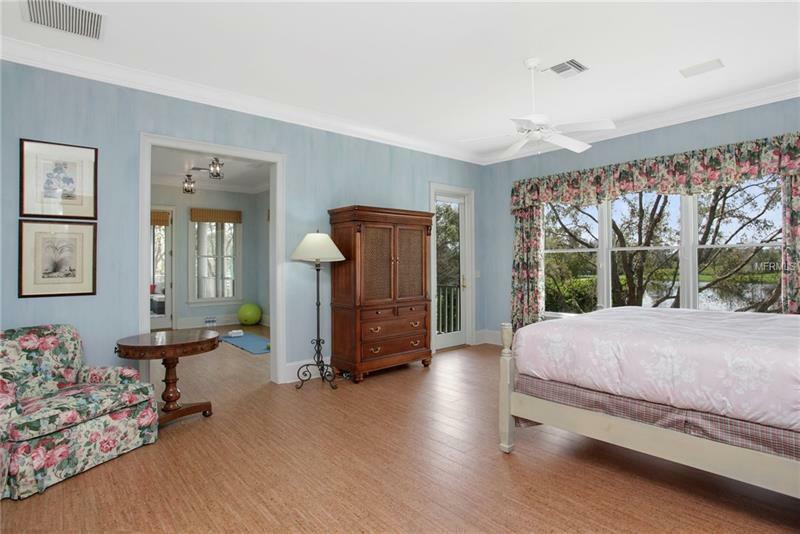 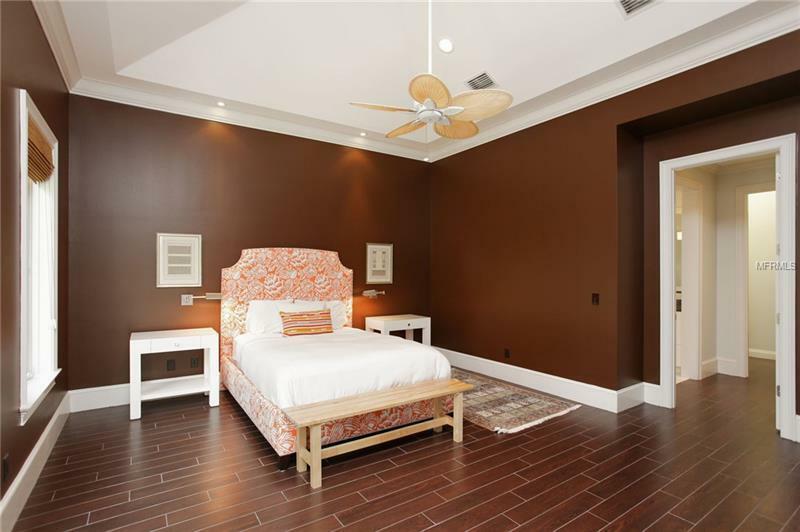 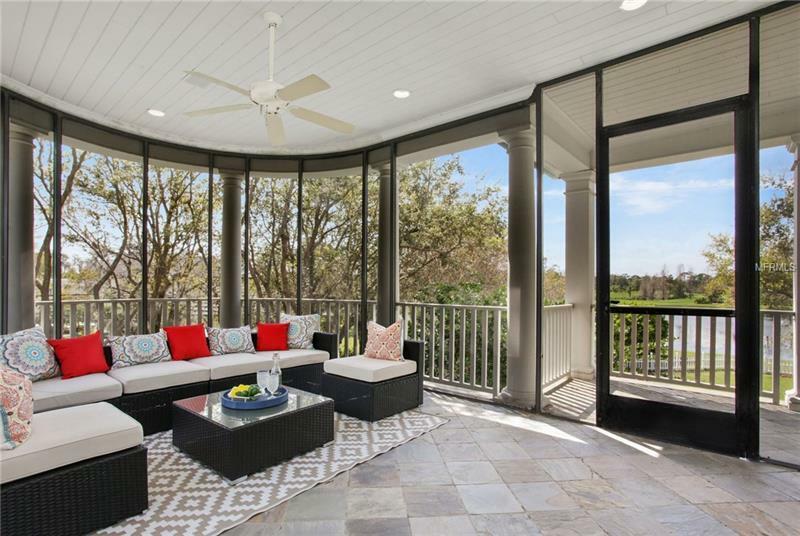 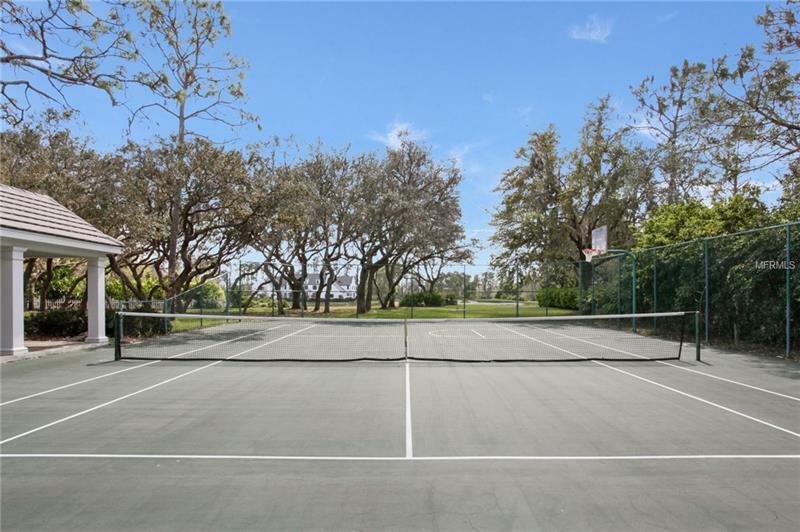 Addt'l features: Addt'l second-floor master suite w/private covered balcony Tennis court w/cabana Fenced-in backyard & three 2-car garages w/1 golf cart garage.